Debris from the Chang’e-3 moon-mission rocket launch reportedly hit some small villages in southwest China (Credits: Weibo). According to an account being reported by AFP, China’s perfect launch on December 1 of the lunar rover Chang’e-3 had the not-so-perfect side effect of dropping parts of discarded rocket body on a village more than 1,000 km from the Xichang Satellite Launch Center. The incident about nine minutes after the launch of the Chang’e-3 mission early Monday happened in Suining county in the central province of Hunan, which has been hit by space wreckage nearly 20 times, the Xiaoxiang Morning Post said. “Three of the roof beams have crashed down on our house, and a big hole has been punched into our barn,” one local resident told the paper. “The huge sound scared the living daylights out of me,” said another. Discarded first stages commonly fall back to Earth in the vicinity of their launch sites. That is why NASA’s Kennedy Space Center is located on a coast with launches directed over the uninhabited ocean. Roscosmos’ Baikonour Cosmodrome is located in a sparsely populated desert – and even so, some towns witness close calls on a regular basis. (For a fascinating look at the practice of collecting fallen rockets for scrap metal, check out the film Space Tourists). Reportedly, China acknowledged the incursion into the village and reimbursed the residents 10,800 yuan ($1,800) plus 5,200 yuan in compensation. 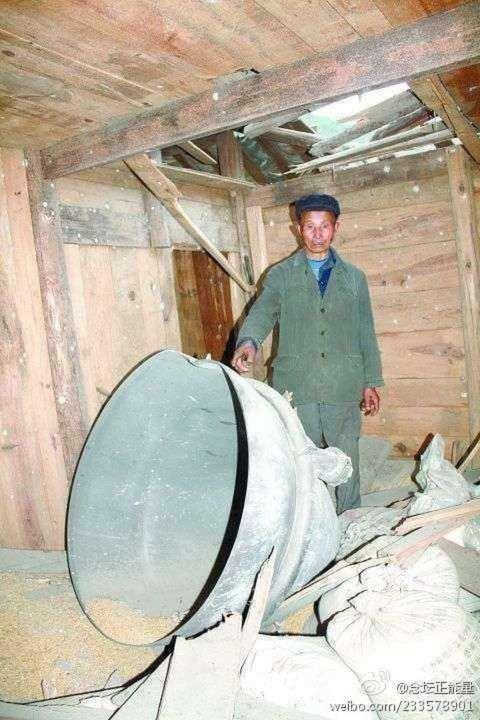 But debris from China’s numerous space launches has frequently found its way to Suining county, which has been hit by rocket parts nearly 20 times since the early 1990s, the Xiaoxiang Morning Post reported. Last May wreckage from a rocket sent up by the Xichang Launch Centre crashed into homes and hit a high-voltage wire in the area, according to the Shanghai Daily News. In October 2011 a steel frame weighing more than 250 kilograms (550 pounds) landed in a field after another satellite launch, and other wreckage pierced a house roof. So far, no one has been injured, but if launches from the Xichang Satellite Launch Center routinely drop expended stages in the area, it is only a matter of time before one strikes a person. Image caption: Debris from the Chang’e-3 moon-mission rocket launch was reportedly found in a forest in southwest China. At least this piece didn’t smash through anyone’s roof (Credits: ChinaNews). Not sure, Mike. It also might have been an idiomatic translation. We’ll have to get a bilingual volunteer to help us figure that one out.